Underlying all my acquisitions with Clients … is an Investment Formula developed over the past 40 or so years. And it involves these 9 Key Stages. HERE’S a real-life Case Study involving every aspect of this Formula. And this should explain just how it worked for those Investors …. What you’re about to read are the details for the actual transaction – which will hopefully demonstrate to you how this Investment Formula delivered an outstanding result for eleven “amateur Investors”. As you’ll appreciate, Privacy Laws prevent me from disclosing some of the more personal details involved. However, you’ll now get to read everything that is a matter of public record. On the face of it, the property was just an old (yet solid-looking) structure, built in the 1980s. But it actually had some tremendous hidden potential. About 10,000 sq metres of spare Land at the rear. My role was to act for an Investor group of 11 retired (or semi-retired) business executives – where only two of them had any real experience, with Commercial property investment. Here is the 9-Step Formula at work! The first two Steps … Filtering and Analysing the available opportunities … were used to carefully choose this Huntingdale Road property. Then, the Negotiating strategies came into play … to secure a contract price of $7.75 million – down from an asking price of $8.6 million. From there, onto the Validation phase – to confirm the physical integrity of the structure. And with the help of a thorough Due Diligence report, I was able to negotiate an even better deal – reducing the final contract price down to $7.24 million, in mid-2001. After settlement, I set about Adding Value by looking to develop the vacant Land at the rear. So, I worked with a Bruce Henderson Architects to devise an innovative Master Plan for the entire site. This contained a mix of compatible Commercial tenancies – both on the vacant land, and within the existing structure itself. However, the Council proved difficult – in their view, the existing buildings were “too old” and ought to be demolished. Even so, we persuaded them to at least take a look at our concept plans. Their response and willingness to help was quite amazing. And they were quick to grasp the benefits our initiatives would bring to the surrounding area. And because of the clever mix of building components … the overall concept quickly became affectionately known as the “Matrix @ Burwood”. Take the 200 cars off the warehouse roof, and create a two-level car park within the lower warehouse – to accommodate 364 cars, securely undercover. 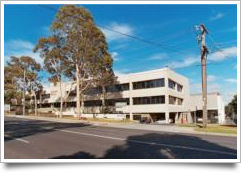 Add an extra storey to the upper warehouse (with a series of 4 light courts) creating two “conventional” new two-storey Office Buildings – with their own dedicated entry (through the existing front structure) from Huntingdale Road. 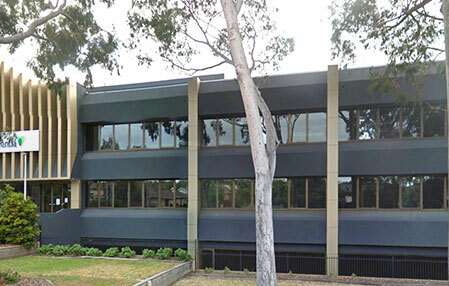 Subdivide the remaining front building into smaller strata Office Suites. Within the remaining “dead” space … provide 8 Storage Units – something much needed in the area. Around the perimeter … build a series of 15 compact Factoriettes. In the centre of the Rear Land … create a block of 9 three-level Studio Offices, with parking underneath. It was a very flexible Permit. And if you think about it, there was really something for everyone. 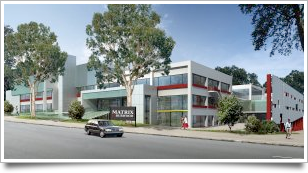 And once the Council came on-board … they were quite taken with the idea of providing a series of attractive “incubator facilities”, so close to Monash University. Where each portion of the Matrix could also be a stand-alone component. And after all that Creative Effort? 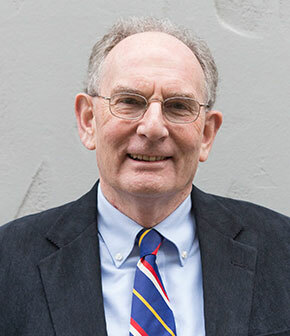 In May of 2003, the Investors had the property independently valued by Charter Keck Cramer. And to their surprise, the property (as it stood then) was now worth $11.2 million. Not bad! … Already, there had been a $3.96 million increase in value to the Investors in just 23 months – without making any physical changes to the property itself. As you can imagine … these Investors were actually now facing somewhat of a Dilemma. What had started out as a simple $2 million project to develop the rear Land … was now a major $45 million+ redevelopment project, for the entire property. And as enthusiastic as these 11 “amateur” investors were … they soon came to realise it was probably well beyond their combined expertise to complete such a large project. But could the Property be easily sold? Although the main leases didn’t expire until 2010 … some early-termination clauses had been negotiated – giving access to the existing buildings in June 2006, if required. So, the property also now had genuine appeal to Developers – particularly with the Matrix Permit now in place. The property was providing an excellent rental return each year. However, the closer you got to 2010 … the less appeal it would start to have for any potential Investors. And, if the property were to be sold … I wanted to be in a position to force the Developers and Investors to COMPETE against each other. This is where you go “under the radar” so to speak with Step 9>: Applying your Marketing efforts. And that’s where you make sure that you leave NOTHING on the table – when it comes time for you to sell. Traditional marketing for Property adopts a “scatter gun” approach – relying heavily upon expensive media advertising and an elaborate Information Memorandum. Whereas, Stealth Marketing adopts a “laser gun” approach – relying mainly on a personalised direct-email campaign, PLUS a dedicated website for the Property. Both of these Stealth Marketing strategies are inexpensive, and yet highly effective. Bottom Line: What Stealth Marketing does … is deliver the entire package right to the desktop of every one of your potential Buyers. And the outcome was an outstanding success: $12.3 million – which amounted to $1.1 million above the formal valuation just months before. But more importantly … the price was an amazing $5,060,000 above what the Clients had paid for the Property – less that 3 years earlier. And all they had done was identify the hidden potential; and then, obtain a rather clever planning permit to help monetise that potential. So, Were These Clients Pleased? That probable says it all … and hopefully helps to explain my planned approach, for a Successful Acquisition. However, if you do have any further queries at all … simply give me a call on 0425 791 254. 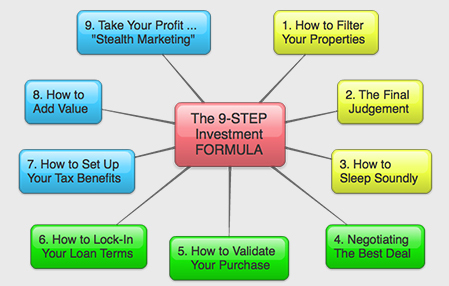 Alternatively, you may care to explore the 9 Step Investment Formula in even more detail … by watching a short Video. That way, you can quickly discover exactly how it could work you as well.